The search for your elopement photographer ends here. Our names are Gabi and Brandon and we’re an elopement photographer team. That spacey-lookin’ thing behind us is our 1972 Airstream (aka the Foxstream). Since 2014, we’ve been on the road exploring the epic places of North America. That journey led us to the rugged Pacific Northwest, which we now proudly call our home base. 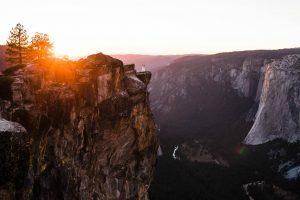 loving couples and helping them craft and capture their perfect adventure elopement is literally our dream job. WE AREN’T JUST an ELOPEMENT PHOTOGRAPHER team. WE’RE TOUR GUIDES, PLANNERS, AND YOUR BEST FRIENDS WHO JUST SO HAPPEN TO TAKE AMAZING PICTURES. 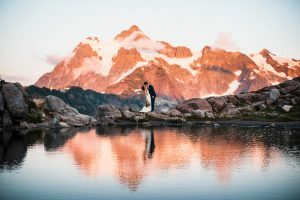 Put simply, an adventure elopement is choosing to forego a traditional wedding in favor of an adventurous experience in the great outdoors. 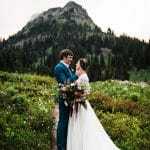 When we help you plan your adventure elopement, we take into consideration your preferred landscape, how much hiking you want to do, the number of guests attending, and many other factors so that we can recommend the best possible locations and timeline for your day. And while we are you elopement photographer team there to capture epic photos, we want your elopement to be about more than just the photos. We’ll help you craft an unforgettable experience that will fill you with awe and excitement all day long, and leave you with unforgettable memories for life. 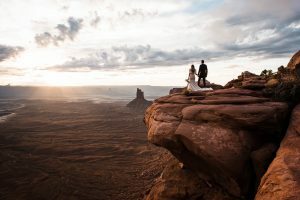 Our adventure elopement in Sedona was everything we dreamed it would be! We can’t say enough about Gabi and Brandon. They are down to earth, so friendly, relatable and fun to hang out with. They surprised us after our hike to our picture location with Italian “champagne” to toast, and Brandon packed in about a dozen candles I really wanted incorporated at the last minute and was happy to do anything to make our day perfect! Gabi is incredible! She was like having a maid of honor to fix your hair, dress, hold your dress and bouquet WHILE running around like crazy - climbing, running, laying on the ground - whatever it took to get the perfect shot! These two are incredible. Everyone we know has said our photos are the best they’ve ever seen, and I can’t agree more. If you are looking for two amazing humans to treat you and your significant other with so much attention and kindness, Brandon and Gabi are the photographers for you. We are very camera shy and the thought of posing was very unnerving, luckily this is not their style! We were so amazed by their skill to capture touching moments as well as the beautiful scenery they typically work in without making you feel awkward, it's such a natural, organic, comfortable style. We had full trust and were not disappointed! You don't feel like a "client", a number, or just another wedding to check off. I wish we could have spent more time just chatting as friends would, it was honestly the best experience and our photos are absolutely stunning! Stop reading, just book 'em ya'll! "Simply put, Gabi & Brandon were the best decision we made at our adventure elopement. They captured every moment so effortlessly and made both of us feel so comfortable in front of the camera, which is a huge deal for two awkward people like ourselves. We couldn't be happier with how our photos turned out, and hope to work with these two again someday! Thanks for everything you two!" "This was one of the best experiences of a lifetime. I couldn’t imagine a more perfect adventure elopement!!!! 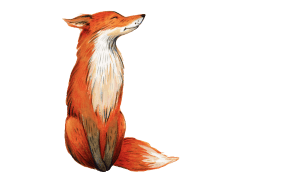 The foxes are such talented and sweet people who make your whole day feel at ease. They capture the true essence of you and your significant other while also capturing the natural beauty of the landscapes surrounding you. There was no feelings of force or pressure. I’m so grateful for this experience and for the foxes!!! 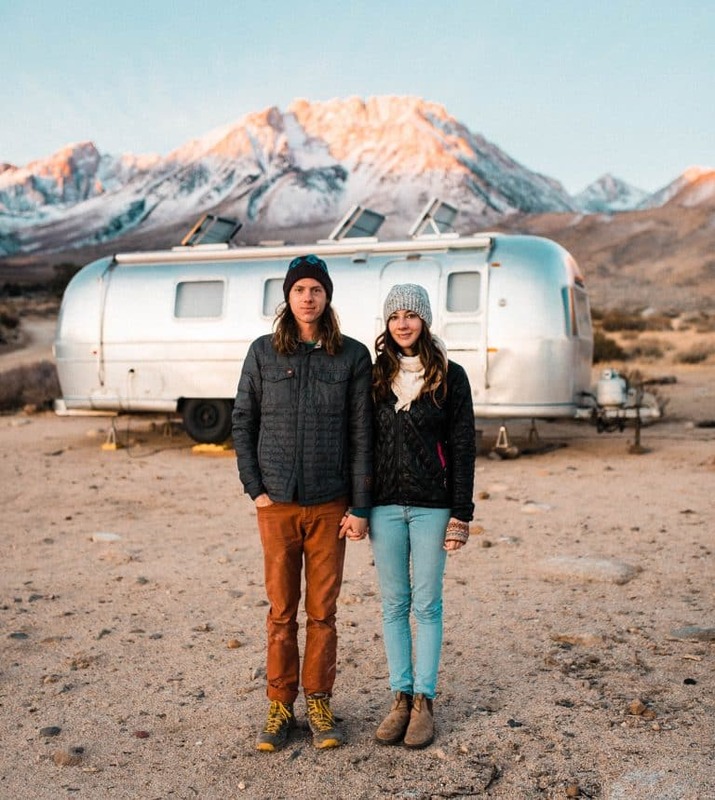 These are the people to pick for your adventure elopement!!!" If you are looking for an adventure elopement any type of adventure photography sessions you MUST have these two amazing humans do it!! Gabi & Brandon are such amazing photographers and it shows in their work!! My husband and I Never had professional pictures taken before so we were a bit camera shy but immediately got over that with them by our sides. Every picture came out to be absolutely beautiful. Seriously, just pick these guys as your photographers...they were born to do this. You will not be disappointed! !